Getting a good score in English proficiency tests such as the IELTS or the International English Language Testing System examination and the TOEFL or the Test of English as a Foreign Language is highly possible when you put more effort in learning the English language, most especially grammar. Having a good foundation in grammar helps you create better responses and more intelligent ideas and opinions. Hence, it is important for you, the candidates, to remember certain grammar errors that you need to avoid in order to get a good score in the TOEFL and the IELTS. Homonyms are words in the English language that sound or pronounced similarly; however, their spelling and definition are different. 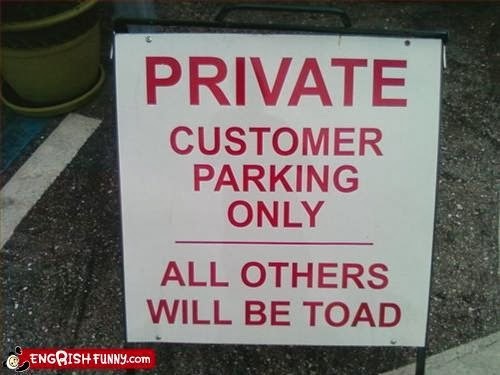 For example, Toad and Towed, they both sound the same but toad refers to a frog while towed means to be taken away. In writing, candidates have to be careful with these for it creates a whole new meaning to the point you are referring to. 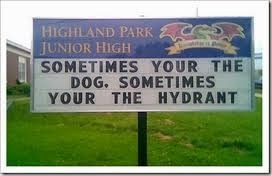 Not only grammar but spelling plays a huge role in English especially in writing. Committing this mistake is such a no-no. To be more familiar with spelling, do spelling exercises. There are lots of exercises and spelling activities online. 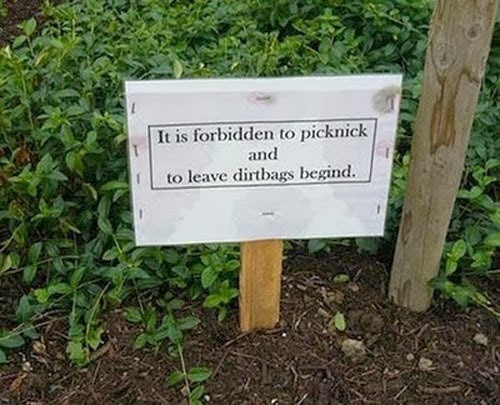 Like in the picture, PICNICK should be spelled as PICNIC. Have you ever experienced explaining something that you find yourself saying “something” instead of the right vocabulary? In speaking, using “something” as a replacement of specific word should be avoided. To avoid this problem, it is important to improve your vocabulary bank by reading a lot. Read different English materials like newspapers, magazines, and even journals. Parabolic? 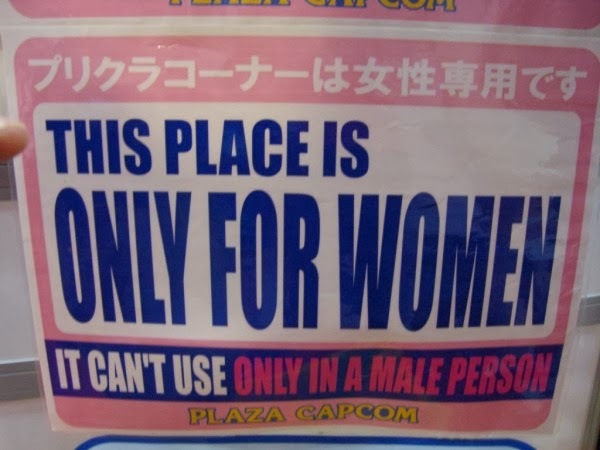 Does this word suit in the signage? 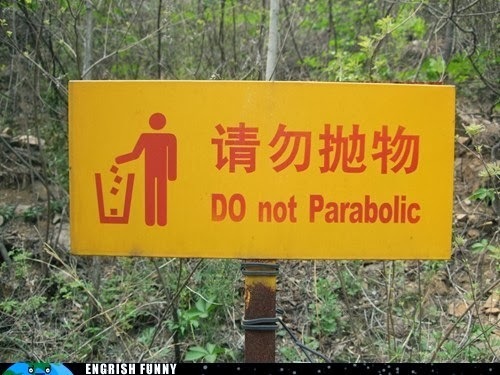 Parabolic means something similar to a parable or parabola. Using words that do not fit in your writing or even in speaking creates confusion to your reader or listener respectively. Poorly used words signify a weakness in your vocabulary too. Know when to use your possessives. 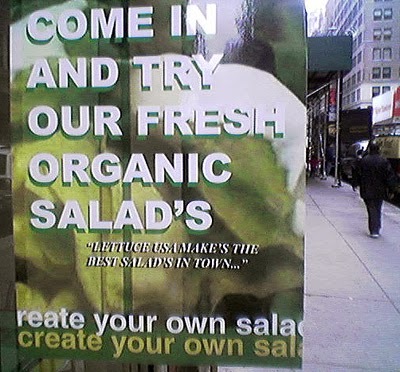 In this case, salads should be written not in its possessive form but in its plural form. Apostrophes are only used to show that somebody possess or owns something. For example, this is Lauren’s bag. Always be careful in using adjectives and adverbs in your sentences. When you describe a verb, use an adverb while an adjective should be used to describe a noun. 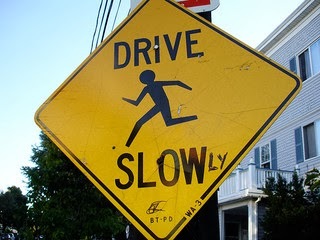 Here, it should be written as Drive Slowly. Verb tenses are crucial in determining the time when the action happens. 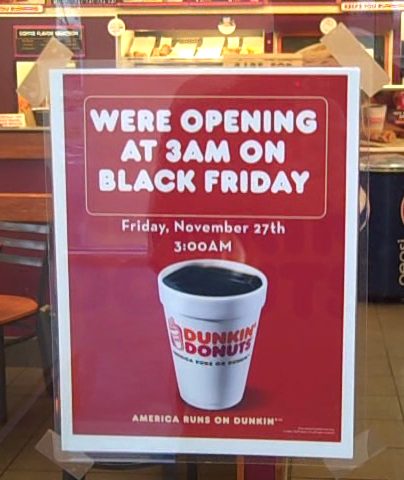 In this announcement, it should be written as, “We are open at 3am on Black Friday.” We use the present simple to show a fact just like what the announcement wants to emphasize. Lose versus Loose. 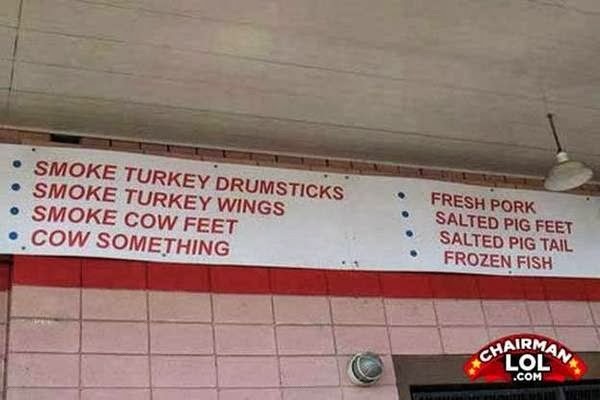 Some words are so confusing that we end up using the wrong ones. Loose means something is not tight while lose means failure to maintain or keep. 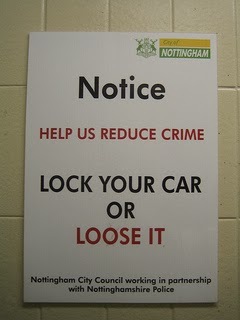 Hence, it should be written as Lose it. Grammar errors can be funny but it is a serious case most especially if you are taking English proficiency examinations. To deal with this problem, better read books on the correct usage in grammar or enrol in an English review center.